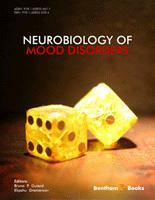 It was our honor and pleasure to prepare this ebook entitled “Neurobiology of Mood Disorders”. The World Health Organization considers mood disorders as fourth major reason for disability and they will become the second major reason for disability by 2020. Mood disorders have complex etiology with variable clinical symptoms. This may result from the involvement of abnormalities at the genetic, molecular and cellular levels. As a result, multidisciplinary research approaches have been used to investigate the pathophysiology of mood disorders and the mechanism of action of antidepressant drugs and mood stabilizers. This ebook is divided to introduction and three parts. The first part addresses different research methods employed by modern neuropsychopharmacology. Several multidisciplinary approaches, from genetically-modified animal models to, neuroimaging in human are considered with a particular attention on optogenetic method. The second part aims to address the molecular and neuronal aspects of mood disorders. The third part focuses on the current genetic, pharmacological and non- pharmacological strategies used to improve the treatment of mood disorders. This ebook might be out of interest for broad spectrum of researchers and clinicians working in the area of neuroscience and mental health. Undergraduate and graduate students studying life and medical science disciplines, and postdoctoral trainees and young physicians in training, specializing in basic or clinical neuroscience, may found this book beneficial for their education programs. We would like to thank Bentham Science Publishers for their kind invitation, to the authors for their contributions, and for the reviewers that helped us to prepare this ebook. A very warm acknowledgement should be given Prof. Jakob Korf (University of Groningen Medical Center) for writing introduction to this ebook, to Mr. Sergey Nikolsky (Daatz, Groningen), for his help with preparation of this ebook to print, and to Mrs. Aniza Naveed (Bentham Science e-Books Publication Manager), who coordinated this project.